Mr Gasket AMC, Pontiac V8, Chrysler Hemi, 1/2-20 x 1" , 6/pkg. AMC, Pontiac V8, Chrysler Hemi, 1/2-20 x 1'', 6/pkg. 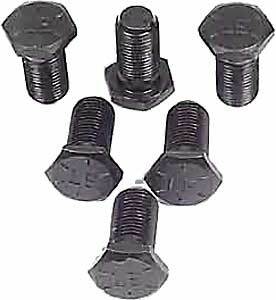 Engineered and manufactured for reliability, these alloy steel drive train fasteners are heat treated to Grade-8 specifications for extra strength. Kits are complete with lock washers (where needed) and are black plated to help resist rust and corrosion.